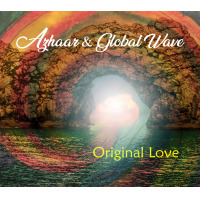 “Azhaar & Global Wave” recdntly released the debut album “Original Love” on May 4th. 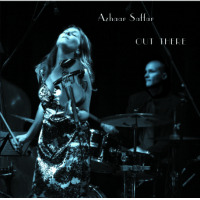 Violinist / singer-songwriter Azhaar Saffar is releasing her 1st album since fronting acclaimed Brazilian jazz group Sirius B. (Montreux jazz, Mai jazz, 606 Club, Glastonbury Brecon jazz) ) She has also worked with jazz luminaries Peewee Ellis, Iain Ballamy, and Jason Rebello A self confessed nomad of Iraqi/Welsh origins, she recently returned from performing and teaching in Latin America where she composed the songs for her new album 'Original Love' The album features top jazz flautist Gareth Lockrane and DJ/’congeiro’ Snowboy who also produced the title track and has had a phenomenal reaction on major radio stations in the UK and worldwide. All About Jazz musician pages are maintained by musicians, publicists and trusted members like you. Interested? Tell us why you would like to improve the Azhaar Saffar musician page.